Mitchell Hall has been featured in and is a source for The New York Observer, The New York Times, Time Out New York, The Cooperator Coop & Condo Monthly, Bloomberg Businessweek, The New York Post, Inman News, Brokers Weekly, The Real Deal, The Wall Street Journal, Relocation.com and various other traditional and new media outlets. Mitchell J Hall has been blogging about Manhattan, NY real estate for over a decade and really has one goal, educate his readers about all aspects of real estate in Manhattan. Mitchell really covers a lot of very complex questions that effect NY homeowners like "Did You Know A Coop's Flip Tax Can Affect the Loan?" or "Landmarking, Housing Production and Demographics in NYC". In addition Mitchell puts out a very detailed marked monthly market report and showcases lots of homes in the area. If you live in Manhattan NY this is a great blog for you. "At 45 Central Park North, an income-restricted co-op, prices are lower, and bidding can get fierce. A three-bedroom on the second floor, listed in July at $469,000, attracted multiple offers above $500,000, said Mitchell Hall, an associate broker with the Corcoran Group. A version of this article appears in print on November 17, 2013, on page RE12 of the New York edition with the headline: How the Word ‘North’ Affects Prices . In the best of circumstances, qualifying an applicant for a co-op or condominium purchase can be a challenging process. Market conditions play a part in a board's consideration of applicants, and recent fluctuations have changed the way both buyers and lenders are looking at real estate acquisitions. 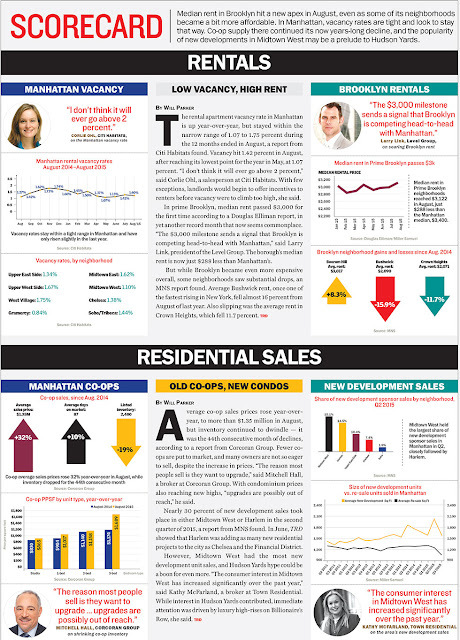 In January, Manhattan-based appraiser Miller Samuel Inc. and brokerage firm Prudential Douglas Elliman released a joint fourth quarter 2011 sales report, and the news was mixed. The report noted that as a result of the European debt crisis, New York City sales fell 12 percent in the fourth quarter from the previous year. The report also stated that purchases of condominiums and co-ops declined to 2,011 from 2,295 in the fourth quarter of 2010. However, there was some good news as well, as the median price of units climbed 1.2 percent from the first quarter to $855,000. When buyers are interested in purchasing, it’s usually the co-op board that holds the cards. They investigate prospective buyers and eventually either bet on the applicant or pass. Condominium boards don’t have as much power, but many are slowly moving toward the co-op board model in hopes of securing the best-financed owners. As a result, the approval process for each is different, from time tables to legal issues. “From a theoretical starting point, the processes are completely different,” says Manhattan-based real estate attorney Ronald H. Gitter. “With a co-op, the board of directors has the ability to turn down a buyer, but a condo board can only either issue a waiver of its right of first refusal to purchase the unit, or purchase the apartment on the same terms provided in the contract of sale.” Needless to say, the latter scenario doesn't happen often. Years ago, when it came to a condominium purchase, there was very little board oversight during the application process. Due to market shifts and the ongoing recession however, the approach is slowly changing—although Gitter notes that, “Even today, with new construction sales from a sponsor, there is no application; just the ability to close. Over time, a number of condo boards have tried to act more like co-ops by requiring extensive applications. If the buyers resist submitting all the documentation, the application can be deemed incomplete.” He jokingly refers to this strategy as a case of “co-op envy,” but warns that buyers should expect a comprehensive evaluation of their finances and references, regardless of what type of unit they're trying to purchase. Boards often have difficulty communicating their expectations and requirements clearly and effectively to the brokers who handle the sales for their building. As a result, the application process can often be cumbersome and lead to a lot of second-guessing and procedural headaches. Therefore, it is recommended that brokers meet regularly with the managing agents of buildings they do business in so expectations reflect the building's current reality. “Co-ops [and condos] should communicate their expectations and requirements through their managing agent, and they should also list their expectations and requirements in their board package/application instructions,” says Mitchell Hall, an associate broker with the Corcoran Group. As is the case with all board-related transactions, there is a learning curve when it comes to buyer applications. Variables such as new legislation or changes in the market must be taken into consideration. As a result, due diligence and a working understanding of all aspects of a building’s profile is essential to making sales transactions go as smooth as possible. To keep the wind in the proverbial sails, during every application process, boards should be equipped with the information they need to make an informed decision about a prospective purchaser. First and foremost, they need to verify that the applicant can afford the unit and related fees. Obtaining the aforementioned information is easiest when a board is comprised of members who have prior experience reviewing applications, or who were recent applicants themselves. Additionally, board members need to know who to turn to for answers such as brokers, counsel or the building’s managing agent. While a stringent board can be a good thing when it comes to defending and preserving the financial stability and market cache of a co-op, too many rejections can flag a building as unattractive or unapproachable. And while it is imperative for boards to review an applicant’s financial standing thoroughly, there are lines of inquiry that are considered infringements, explains Gitter. “Boards can’t discriminate based upon age, race, religion or sexual preference,” he says. “Other than that, the Business Judgment Rule gives co-op boards’ great leeway in requiring information.” Whereas a board can ask for employment records and salary history, it cannot discriminate due to an applicant’s specific occupation. In an effort to streamline the application process, new software has been introduced into the marketplace, and while industry professionals feel it a progressive step forward, adoption rates are slow. “This has impacted the approval process tremendously, he continues. “There are many situations where the buyer signs a contract, puts in his or her loan application, a loan commitment is issued, then maybe two to three weeks later the bank might come back and raise an objection about the co-op or condo such as insufficient reserves, insufficient insurance, serious litigation issues or other variables.” As a result, Gitter says many co-op and condominiums boards do not want to deal with addressing the issues and will not complete the transaction, which is fundamentally changing the application and approval process. This is a “post-Lehman Brothers” market reality, he says. Any wise New Yorker knows that two heads is better than one. Any smart real estate investor knows that two renters are better than one. Mixed-use townhouses across New York are becoming hot commodities for many buyers. According to David Kornmeier, the Vice President and Director at Brown Harris Stevens, “Traditionally, a renovated single family house tends to garner a lot of interest.”Mixed-use townhouses aren’t typically what a family has in mind when interested in buying a new home. But if you manage to stumble upon one of these diamonds in the rough the benefits can be quite re-warding. “An owner can do whatever they want, they can own the whole townhouse and rent out part of it for professional use,” says Mitchell Hall from Corcoran. They can take two or three floors as their own, they can take one apartment and rent out the others, there’s a lot of possibility in it. I had a buyer purchase a brown-stone in Brooklyn and it was mixed-use. The ground floor was set up for professional use, he was buying be-cause he wanted to live in it, but the rent [from the ground floor] helped cover his mortgage and expenses,” says Hall. However, mixed-use townhouses aren’t for retail alone, Mr. Hall told The Observer, “A doctor’s office in a brownstone that would be one of the best uses of it. It’s usually a ground floor apartment, ideally there’s a separate entrance. My dentist is in brownstone—I normally see professional use like doctors, dentists or psychiatrists, usually they have a floor and a separate entrance.” Hall continues with a chuckle, ‘You don’t really want to have to go through the building up-stairs to an office.” Mixed-houses, even if unprofitable, are still great self-sustaining properties, especially when held onto over time. Ground floor real estate firms are an easy investment for a mogul looking to diversify their portfolio. “A property can be purchased by an owner or user, which makes it an excellent investment,” says Ms. Beit. “A 4,000-square-foot, three level commercial space of Madison Avenue in a prime Upper East Side location, in need of renovation, can rent for as much as $400,000 per year,” she says. Still “in my experience,” Kornmeier says, “most people that purchase townhouses as a residence typically favor more residential locations, such as the charming tree-lined streets and uniform rows of townhouses.” There are many factors that will stay at play. Copyright © 2011 The New York Times Company. Reprinted with Permission. Photos should be credited as follows: The New York Times. Although a co-op board member may say that the process of meeting applicants is just a formality, the building bigwigs can reject you without explanation. So it pays to take the meeting seriously. 1. Answer questions. "You may be asked things that seem personal and sometimes even invasive," says Circle Mortgage Group president Dale Siegel. "Don't be fazed, just answer politely." 2. But maybe not all questions. 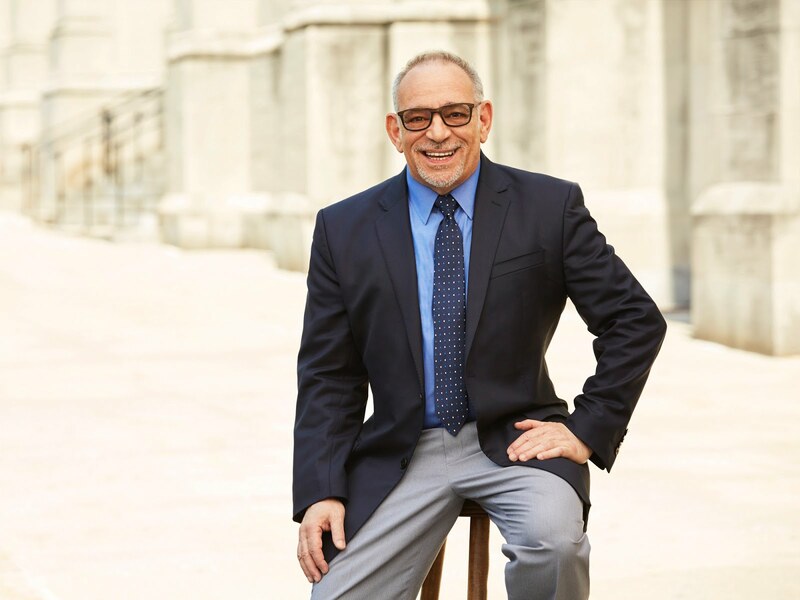 Mitchell Hall, associate broker with Coldwell Banker Previews International, notes that co-ops can't discriminate based on things such as race or national origin. The board is also not supposed to ask about sexual orientation, marital status or if children will be living with you. 3. Don't elaborate. Hall says major renovation plans might turn off board members. 4. Don't ask. Even innocent questions can offend. "You might ask when they're going to renovate the lobby," Hall says, "and it turns out they just did, and someone on the board was head of the lobby-renovation committee." 5. Don't tell. Beware of revealing too much-questions about sublet or pet policies are a bad idea, and if there are patios, don't ask if you can barbecue on them. Is Manhattan Immune from the Real Estate Bust? Many of the strictest buildings often insist that prospective buyers have liquid assets equaling as much as three times the apartment's asking price. So, if you're talking about a $5 million apartment, you need at least $15 million in the bank. Other real estate holdings don't count. Subprime loans and foreclosures, as a result, are rare. "Here you have to put skin in the game," said Mitchell Hall, associate broker with Coldwell Bankers Previews International. "It's not easy to buy a place in New York-you have to be really qualified." Translation: rich. The fact that Manhattan has-at least so far-escaped the downturn doesn't mean it won't get hit. With a recession looming, plenty of job losses are expected this year on Wall Street, where bonuses are also expected to shrink. The new condos being built-with ever increasing prices-could also create an oversupply of luxury real estate. Even Spinola of the Real Estate Board concedes that the market could flatten in a recession. New York real estate is by no means immune to dips. Prices dropped during the recession in the early 1990s and following the 1987 stock market crash. The biggest postwar decline came in the 1970s, when the city went bankrupt. Jonathan Miller, president of New York appraiser Miller Samuel, said even though prices are rising, sales activity is off from last year's record levels. The boroughs are doing worse. Expensive Brooklyn neighborhoods such as Brooklyn Heights, Cobble Hill, and Park Slope have mirrored Manhattan's strength. But middle-class communities farther out have been weakened by the subprime crisis and the credit crunch. Median home prices in Queens fell 12% in the first quarter from a year earlier, according to the Real Estate Board. The median price dropped 9% in the Bronx, 2% in Staten Island, and 1% in Brooklyn. "Look we've had a very brisk real estate market for the last four or five years," Miller said. "The New York region has held up better than virtually any market across the country. But we are not immune to situations on the national scale." See the BusinessWeek.com slide show for the most expensive real estate listings in Manhattan. Gopal writes about real estate for BusinessWeek.com in New York . 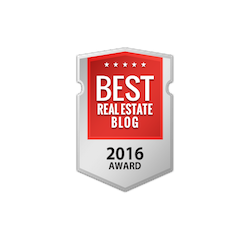 Relocation.com is roaming around the country revealing the best real estate blogs in each city. Covering all of Manhattan, NYC Blog Estate features current real estate listings, recent developments and informative articles about the industry. Users can also navigate their way through the site based on the neighborhood they are interested in. The site also has a buyer and seller section where interested parties can search their home or apartment direct. By Inman News, Wednesday, July 2, 2008. 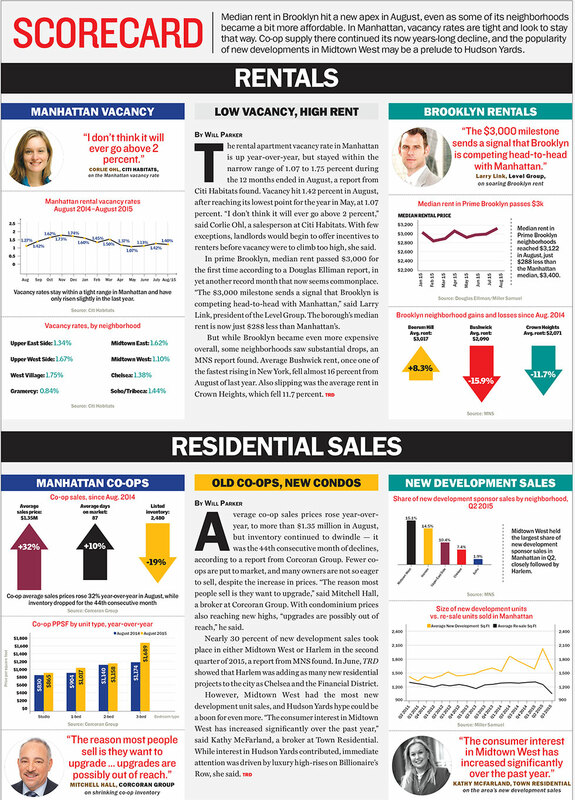 Residential sales in Manhattan continued to slide in the second quarter, according to market reports released today, falling back from last year's lofty peaks. Mitchell Hall, an associate broker for Coldwell Banker Previews International in Manhattan, said, "I think the market has really turned to more of a buyer's market," and buyers seem to have more wiggle room these days in negotiating prices and other concessions with sellers. "Everything's very negotiable right now," Hall said. "Where a year ago a buyer would ... insult a seller making a lowball offer, now everything is being considered." He cited the slow-moving economy among the factors contributing to slowing sales. "They are not grabbing things right away as they were previously. They are ... taking a wait-and-see attitude." Those buyers who purchased in the past year will likely lose money if they try to sell in the current market, he said. While there are still first-time buyers in the market, Hall said that larger down-payment requirements are difficult for some buyers. "It's a little tougher getting mortgages right now." The co-op market, he said, typically requires a 20 percent down payment and in some cases a 25 percent down payment, and for condos most lenders are requiring at least a 15 percent down payment, he said. There are plenty of homes for buyers to choose from, he said, citing a couple who found 80 properties that matched their criteria. This week we are excited to announce the Trulia Century Award winners - that is an award to everyone who has answered more than 100 questions in the first 100 days since the launch of Trulia Voices. There are 20 25 of these exceptional Voices, who have not only been active contributors on the site, but also provided us with product feedback, insight and opinions along the way.This week we sent them a little token of our appreciation and wanted to make sure they received a Trulia Blog shout out for the achievement and for their work putting Trulia Voices on the path to success. So, to Deborah, Pam, Bruce, Jeannette, Melissa, Bridgette, Carrie, Keith, Cindi, Roberta, Mitchell, Jim, Paul, Kristal, Mario, Brian, Ellen, Ted, Herman, Kaye, Chris, Irina, Maureen, Ruth, and Sylvia and all of the Trulia Voices community…thanks for helping us get through the first 100 and we look forward to many hundreds more! Hearst, Hachette lock in top-notch real estate for annual programs. The price tag for the penthouse? According to nyc BLOG estate site, Soho Mews' rentals range from $7,000 to $20,000 per month. Two years ago, Esquire’s Ultimate Bachelor Pad—Esquire North, located in Harlem cost $8.5 million. Every Joe: How Blogging Can Make You Stand Out From the Crowed. "I did find some blogs from realtors who were selling NYC real estate. They seem to be doing a pretty good job of differentiating themselves from their peers and getting to know their customers. Mitchell Hall does a good job of writing about real estate news and neighborhoods on his blog NYC Blog Estate"